Lock in a great price for Comfort Inn Goondiwindi – rated 9.1 by recent guests! Great location, very comfy beds, good showers. What else is there to like? The room was very well appointed, the bed extra comfortable, shower sensational all in all made for a very comfortable stay. Pub across the road an added bonus with good cold beer excellent well priced feed. The bed was amazingly comfortable, we had a great sleep. It was nice and quiet too. Spacious room with everything you need for an overnight stay. 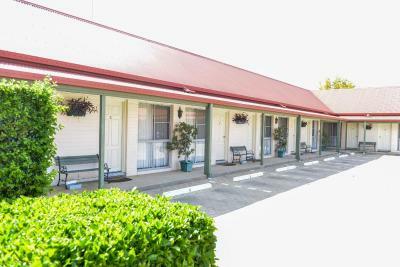 The weekend escape to the country at the Comfort Inn, Goondiwindi. Proximity to major town facilities and restaurants. Friendly staff, close proximity to everything in town and the pool. 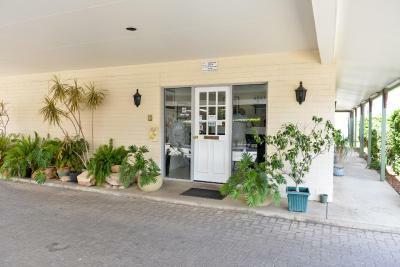 Comfort Inn Goondiwindi This rating is a reflection of how the property compares to the industry standard when it comes to price, facilities and services available. It's based on a self-evaluation by the property. Use this rating to help choose your stay! Featuring an outdoor swimming pool, Comfort Inn Goondiwindi is located in Goondiwindi. Among the various facilities of this property are barbecue facilities and a garden. The property provides free WiFi. Guest rooms in the motel are equipped with a flat-screen TV with satellite channels. Each room is equipped with a private bathroom with a shower, free toiletries and a hair dryer. 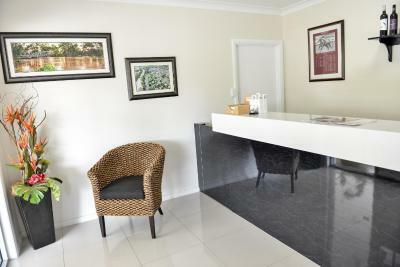 The rooms at Comfort Inn Goondiwindi feature air conditioning and a desk. 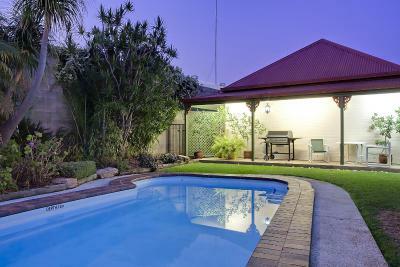 This property also has one of the top-rated locations in Goondiwindi! Guests are happier about it compared to other properties in the area. When would you like to stay at Comfort Inn Goondiwindi? This triple room has a cable TV, mini-bar and electric kettle. The Comfort Inn Goondiwindi has 16 comfortable rooms, each room has access to a mini bar, Foxtel TV, Free to air TV, Split System Air conditioning & FREE WiFi 13 Twin Share (QB + SB) 2 Family Rooms (1QB + 2SB) 1 Disable Room 1 Family Unit (2 Rooms with internal door Rooms 8 &9) There is also a lovely in ground swimming pool and BBQ area to enjoy while staying at the motel on a hot afternoon and relax after a long days drive. Travelling with a Trailer is no trouble at all, as we have 3 trailer parking spots available. As we don't have a onsite Restaurant, We offer room service and chargeback facilities from the restaurant located across the road at the Queensland Hotel. House Rules Comfort Inn Goondiwindi takes special requests – add in the next step! Comfort Inn Goondiwindi accepts these cards and reserves the right to temporarily hold an amount prior to arrival. Most comfortable bed I’ve ever experienced. The pillow case in my room looked like it had not been changed prior to me checking in. Attitude from staff excellent. So helpful.